Create a reminder in your phone or computer to check this article once a month for the next step. You may want to read this article all the way through now and then read it again in sections month-by-month. There are plenty of options out there for earning points toward travel expenses. Generally, every dollar you spend will earn one or two points, and each point is equivalent to one cent in rewards. If you use this credit card for all the purchases you normally make anyway (gasoline, groceries, etc.) then you’ll be earning points toward a potentially free plane ticket. 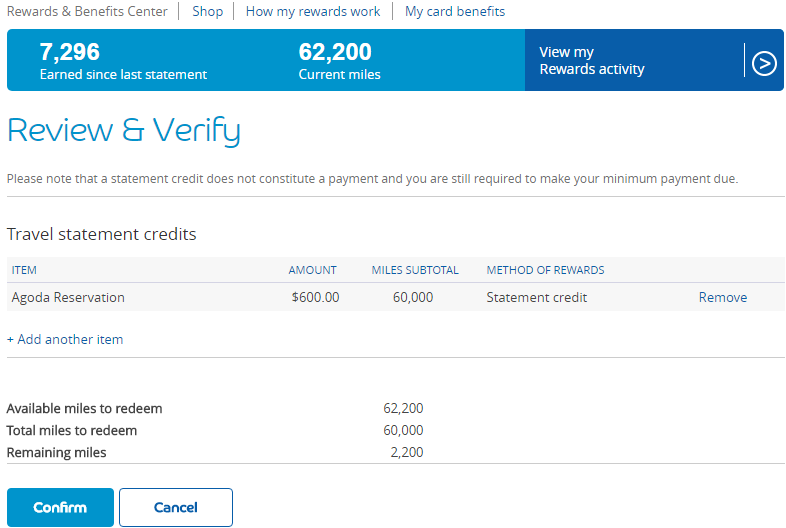 Beware that your card may refer to points as “miles.” A “mile” is still one penny. 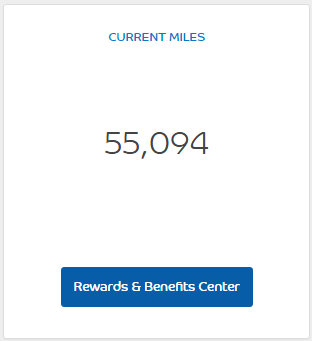 One option for cards is the Barclaycard Arrival+ which gives you 50,000 free points (equivalent to $500) if you spend $3,000 within the first three months. Once you make a qualifying purchase (plane ticket, hotel, JR pass, etc.) with this credit card, then you can go on the website and redeem your points toward the purchase. If your hotel room comes out to $600 and you have 60,000 points, you will be reimbursed 100% of the cost by using up your points. Even after paying the $80 annual card fee, you’ll still be coming out ahead. Each traveler’s card has slightly different conditions and rewards, so be sure to look for the one that’s right for you. There are also websites such as Award Wallet that help to keep track of your earned rewards. The sky’s the limit as far as resources for travelers go. Booking.com and other websites (agoda, cheapoair, justfly, tripadvisor, etc.) allow you to book hotels well in advance at no charge. Most hotels on Booking.com also include free cancellation, which is a double-edged sword. On the one hand, it means that you can book 10 different hotels and cancel 9 of them a month before your trip, but the downside is that everyone else can too. Because of this, hotels in prime locations are perpetually sold out unless you’re lucky. MYSTAYS properties are especially popular. This location is sold out more than 13 months in advance! What you are looking for in a hotel may vary dramatically from person to person. The hotel Kyoka House is nestled in the middle of a quiet suburban neighborhood several miles from the bustling center of Tokyo, which you may consider highly desirable, but the nearest Metro station (Heiwadai) is a full kilometer away. Unless you have a rental car, you’ll spend several hours of your vacation bicycling/walking between your hotel and the station. 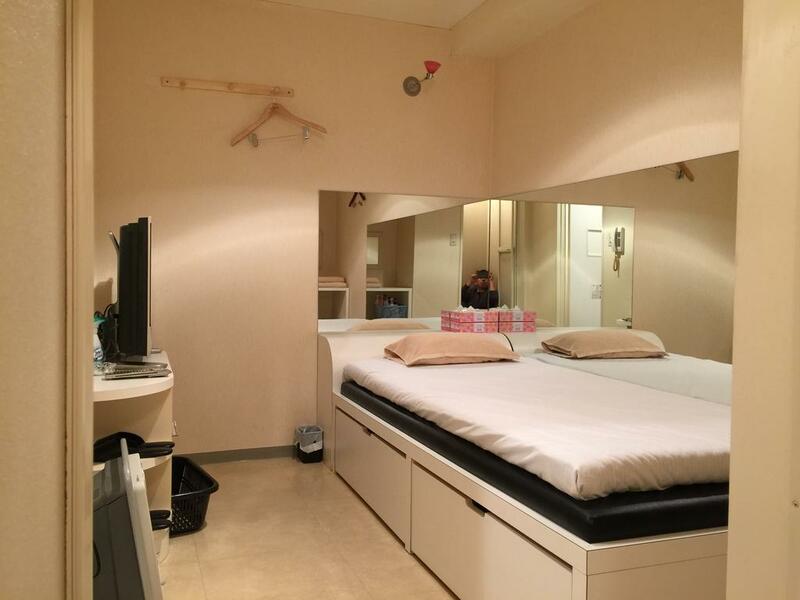 On the opposite side of the spectrum, Inn Kinshicho Rental Room Paris, inside the heart of the Tokyo metropolitan area, is less than 1000 feet from TERMINA Metro Station and is surrounded by a high variety of buildings (Izakaya, 7-11, Post Office, gas station, Karaoke bar, etc.) but you may be dismayed to discover that it’s a love hotel. The bed that you’d be sleeping on has serviced thousands of couples over the years. Eww. I mean, I know they change the sheets, but still. Eww. I was confused as to why there were mirrors on the bed, but now I know. Ewwwww. My first bit of advice is to pick a location very near a metro station, and even better if it’s near the Yamanote Line (The Yamanote Line runs in a circle around central Tokyo and enables easy access to many tourist spots). You might think that having a hotel close to the airport is a high priority, but in reality this will only matter twice–when you arrive in Japan and when you’re leaving. Of course, if you managed to get a hotel near the airport AND near the Yamanote Line, you’d be striking gold. 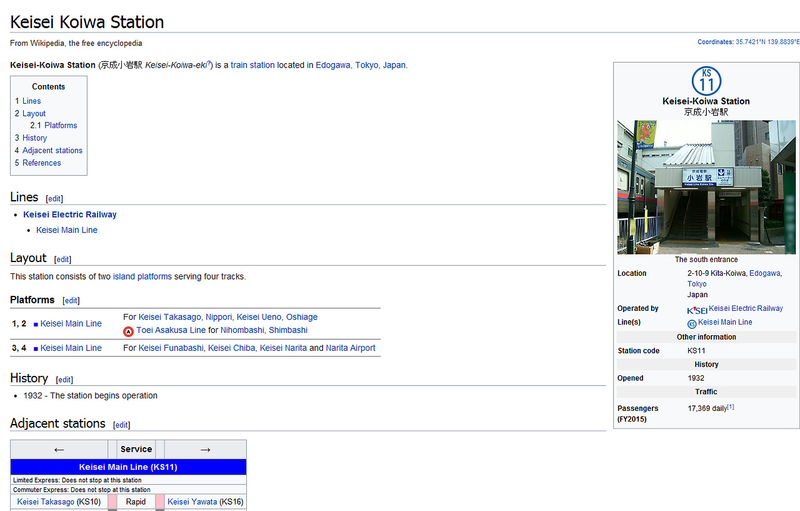 And there are, in fact, several hotels located between Shinagawa Station (one of the stops on the Yamanote Line) and Haneda Airport, but they are–you guessed it!–sold out. My second bit of advice is to go cheap. You’ll be out exploring most of the time, only coming back to your room to sleep. Since you won’t be in your hotel room most of the time, it will be little more than an expensive sleeping bag/storage space. And you don’t want to blow $2,000 on a sleeping bag/storage space, do you? 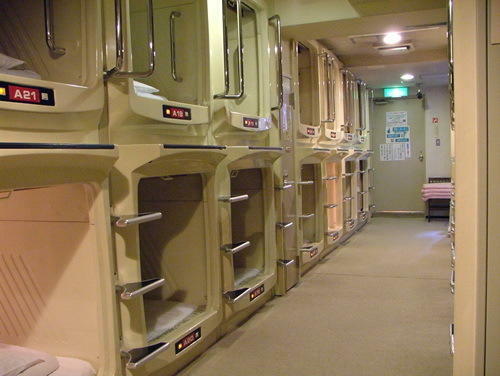 You’ll be amazed at how cheap some of the accommodations in Japan can be, with some hotels offering bunk beds in dormitories, or even sleeping capsules that seem like they come from a science fiction movie, for as little as $20/night. Of course, it depends on your needs. Some hotels won’t have kitchens included and being able to cook might be a must for you. Some hotels only accept cash, some don’t allow free cancellation (make sure you double-check before booking a reservation! ), some have shared bathrooms, etc. There are many factors that go into picking a hotel based on your wants and needs. You might want to find a tiny hostel in the middle of nowhere because you have no interest in exploring the cities at all. If that’s your thing, you’ll have an entirely different set of criteria to look out for. 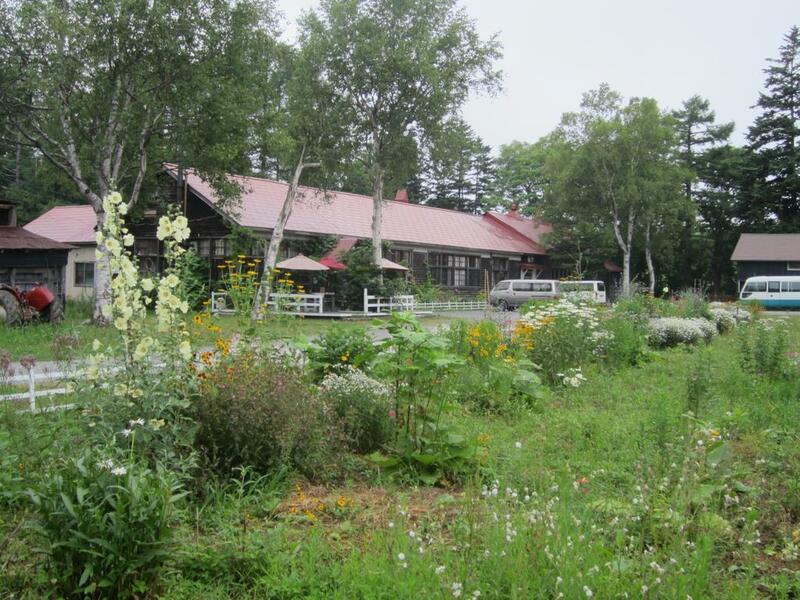 Actually, the beauty of this rural hostel is making me want to ditch my city plans…. The important thing is to not stress about it. As long as you pick a hotel that isn’t a complete nightmare, then anywhere you stay will be a good option. Just have fun. And if you don’t know for sure which city to stay in, go with Tokyo. As a first-time traveler, Tokyo will be your safest bet for sure. Learn as much Japanese as possible. If you start studying Japanese eleven months before you leave for Japan, you most likely won’t be anywhere near fluent. But you will have the basics down and feel confident enough to navigate the most basic conversations. You’ll also be able to read many of the signs, which will be a big help. Basically, the more Japanese you know, the better, but don’t sweat it. (Learning a language ought to be fun, not stressful.) Even if you can only say three words in Japanese, you’ll still be able to have a great time. But please don’t be THAT tourist who refuses to learn anything and assumes that everyone speaks English. Also, follow everyone’s lead. If you are in eastern Japan and you see everyone either standing on the left side of escalators or walking on the right, then do what they do. Conversely, if you’re in western Japan and everyone walks on the left side or stands on the right, then for crying out loud, do the same! 1. Contact your local embassy. Japan has a “general visa exemption agreement” with 67 countries, including the US. If you are a citizen of one of these countries, you will be allowed a “temporary visitor” status with just a passport; no visa required. Depending on your country’s treaty, you will be allowed to stay for up to 90 days or for up to 6 months. If you are not a citizen of one of these 67 countries, or if you have any questions regarding tourism or immigration, please contact the Japanese embassy in your country right away. …but they’ll let you stay constantly aware of where the price is. Be aware that some airports are cheaper to fly out of than others. LAX is consistently cheaper than LAS, even though they’re both international airports. You’ll just have to decide for yourself if a several-hour drive is worth the $100+ difference. Looking at tickets sooner will also allow you to modify your dates of travel and adjust your hotel booking if necessary. Some tricks for lowering the ticket price are well-known, such as flying on a weekday instead of weekend, or flying extra-early or extra-late. Also be aware of package deals. If you can get a heavy discount for buying a ticket and hotel at once, you may want to consider doing that and canceling your earlier reservation. I am not the most knowledgeable person when it comes to airfare, so you’ll probably want to consult other sources. Just please don’t be an extreme risk-taker and try to buy a ticket when you’re already in the airport. Yes, you might get a ticket for next to nothing, or you might be told that the flight is full and the earliest available seat is in three weeks. Basically, just start looking for a ticket early, and then buy it when you’re reasonably sure you’re getting a good deal. Be aware that if you fly on a foreign airline such as JAL, the back of every seat is equipped with a TV screen. Generally speaking, there is a huge difference between domestic and international flights. But one thing that is not any better is the leg room. If you have any sense at all, get an aisle seat or emergency exit row seat. Be mindful about the time of year when you go to Japan. Not all weeks are the same! If your trip to Japan just so happens to include the first week of May, you will be in for a world of hurt. The first week of May is “Golden Week,” and everything will be packed with Japanese travelers. The trains will be packed, the hotels will be packed, the Wi-Fi will be spotty. If you are planning on using your phone while in Japan, be aware that it will not work on New Year’s Eve because everyone in the country will be texting each other “Happy New Year.” These are some of the things to be aware of. Generally, you’ll be safe as long as you avoid the end of April/beginning of May, the end of August/beginning of September, and the latter half of December/beginning of January. Still, even if you visit during these times you’ll be able to have a good time; you’ll just have to navigate thick crowds while visiting popular areas. Take advantage of modern technology. We live in a golden age where much of the information in the world is at your fingertips. You can use Google Earth’s street view feature to explore the area around your hotel and become familiar with your surroundings well in advance of your trip. You might be inclined to think that virtual exploration will spoil the adventure, but honestly, there’s so much in Japan to explore that no matter how much time you put into Google Earth, you won’t be able to spoil the thrill of discovery no matter how hard you try. And if you explore near your hotel at the very least, you’ll be able to identify landmarks that will help you orient yourself and prevent getting lost. I studied the area around my hotel so much that when I exited Akihabara Station, all I needed to do was find the cardinal directions (which was difficult because it was after sunset) and then I could walk to my hotel by memory. There are also quite a few videos of people filming themselves walking down the street and looking around. If you search for a specific location you may be able to find such a video. I was very excited to follow the video below while using Google Earth, and being able to see where he was walking from a bird’s eye view. Some other videos are less personal and intimate, but make up for it by being professionally produced and extremely high-quality. Once again, the sky’s the limit as far as free resources go. 1. Budget for spending money. Now is a good time to start budgeting for souvenirs and food. Depending on your shopping habits you could spend anywhere from $50 to $200+ per day, in addition to the other expenses such as hotel room, plane ticket, JR pass, etc. I spent almost exactly $100 per day, but that number is skewed because on Christmas day I bought two Nintendo consoles and a few games for a total of $670. I also double-booked hotels for three nights (I went to visit a friend in Nara and paid to stay at a hotel there in addition to my hotel in Tokyo which I had already paid for, which cost me an additional $140). If not for that I would have spent about $50 per day on average. So it depends on what you’re going to buy. Will you get massages? Will you hire a geisha for an afternoon? Will you rent a car? Buy tons of DVDs or figurines? Eat at Michelin star restaurants? It’s up to you. My advice for squeezing the most out of your budget is: don’t. Enjoy your stay and live a little. It’s better to spend your time and effort working overtime before the trip so that you can afford to splurge, rather than trying to squeeze a $3,000 trip into a $2,000 budget like a hippopotamus trying to squeeze itself into a tutu. It’ll be worth it when you won’t have to turn down every single tempting purchase in Japan because you’re a pauper. Be miserly in your home country and spendthrift when you’re on vacation. Continue studying Japanese regularly. If you’re already an intermediate Japanese student and you’ve lost the will to study, let me assure you that the “intermediate plateau” is a myth. You’re not really stuck in a plateau; it just seems that way because math can be weird sometimes. Whether you’re a beginner, intermediate, or advanced student, let me tell you this: 8 months from now you can either make 8 months of progress, or a list of excuses. Choose wisely. If you only study 10 minutes per day, that will add up to 1825 minutes (30 hours) after 8 months. 30 hours is roughly equivalent to a semester of a college class. At least buy a phrasebook so you can say basic things. This article is assuming that you’ll be spending your journey in Tokyo, or based in Tokyo. That is the most reasonable assumption for foreign travelers and the easiest plan to stick to for first-time tourists, but you may want to look at what the rest of Japan has to offer. There are other cities (Osaka is known as “the Kitchen of Japan” for its amazing food) and other locations away from the cities (Mt. Fuji for example). Most of the English-speakers are in the Tokyo metropolitan area, so depending on your desire to immerse yourself in the Japanese language, you may want either to book a hotel in a rural area or to avoid it like the plague. If you use the JR pass to get around (again, I’ll explain it later) then you can go pretty much anywhere you want in Japan for free. Use this to your advantage. Maybe you can find a cheap hotel in a town or city besides Tokyo, and you might want to stay there for a few days then come back to Tokyo for your return flight. For that matter, you might want to do a whirlwind tour of Japan and stay in a different hotel every night. You probably have a fairly good idea of what you want to do already, but if your stay is longer than one week then it wouldn’t be a bad idea to look at other possibilities. For a first-time traveler, two weeks is not enough time to see all of the interesting sights in Tokyo. In fact, a year isn’t long enough. But you may find that it’s worth your effort to spend some time in other areas that are off the beaten path. My plan, when I go to Japan, is to spend the first week in Tokyo and the second week in the rest of Japan. The next time I visit, my itinerary may be drastically different. I think the three high-priority cities to visit are Tokyo, Kyoto, and Osaka. If you have a longer stay, then of course Nara, Kobe, and Hiroshima are included, but try not to visit every place; tailor it to your interests. If you want to see the temples, then stay in Kyoto for longer instead of visiting additional cities. If you like animals, you can visit the cat island, bunny island, or fox village. If you like skiing, you would do well to visit Hakodate in the winter, and then go to Sapporo for the snow festival. Just don’t be too ambitious and try to visit Okinawa. That would be like a foreigner coming to the US and then visiting Hawaii. Hawaii is a trip all to itself, you see? On Odigo.jp/destinations you can find a list of the most popular destinations and their attractions. Use that to look for things that catch your interest. If you do drugs, stop now; give it time to exit your system. Japanese customs officials have zero sense of humor when it comes to illegal drugs. I highly doubt that they’re going to do a drug test on you, but if you come to the airport stinking of pot and/or you have drugs inside your luggage or on your person, they will send you straight back to America and ban you for life. If you mail yourself a package of drugs, they will intercept it and deport you. Visit your doctor for a doctor’s note. Please be aware that even drugs which are legal in the US are often illegal in Japan, and you must bring a doctor’s note and other required forms stating that you are allowed to use a given medication. If you start getting that in order now, you’ll have it taken care of with plenty of time to spare. Also ask your doctor if you should get any shots, such as for Japanese encephalitis. The answer will probably be no unless you’ll go out into nature, but it won’t hurt to ask. Are you aware that although all of Japan uses 100 Volt power outlets, Eastern Japan runs on 50 Hz power and Western Japan runs on 60 Hz? You’ll need to find a universal power adapter. (I’ve heard that you don’t need one unless you have delicate electronics, but it’s better to play it safe. Besides, if you have any three-pronged cords you’ll need the adapter just for that.) And what about your batteries? You’re going to have a 13-30 hour plane ride, you’ll spend several hours on trains and subways, and you’ll probably be using your camera or cell phone to take a plethora of pictures and videos throughout the day. Not to mention the heavy battery usage resulting from using your map/navigation app and your Japanese-English dictionary. You’ll probably need a charge extender. Fortunately there are thick phone cases with large-capacity batteries built into them, or if that’s too cumbersome there are small charging sticks with USB ports that you can plug your phone into to charge it on the go, and there are portable power banks for other electronics. Many laptop manufacturers make clip-on battery packs that supplement your laptop’s battery life by up to 15 hours. Also order a passport holder. If you get one that goes around your neck then you won’t have as much to carry in your hands or pockets but you’ll still be ready to present your documents in a flash. You want to get a holder that has enough room for your passport, your Exchange Order (we’ll get to that soon), notepad, pen (or two), government ID, airplane ticket/boarding pass, cash, ATM card, doctor’s note for medication, and perhaps a map. Leave it at that, because you don’t want a 20 pound bag hanging from your neck. You’ll have your backpack and luggage for all of your bulky/heavy items, and your pockets for everything else. Get a coin purse. You will need it. I’m serious. You will need it. Buy good earplugs and possibly a sleeping mask for the plane. If you want to invest the extra money, you would do well to buy noise-canceling headphones. US International Passport applications typically take 4-8 weeks but it’s good to start your application 16 weeks prior just to be safe. Passports last 10 years so you don’t need to put it off to the last minute. You can begin the process online and the fees will be $165 for an adult applying for the first time. Each time you withdraw from an ATM, withdraw as much as possible to minimize transaction fees. Call your bank and ask them to increase your daily withdrawal limit. Don’t worry about carrying around large amounts of cash. I can almost guarantee that you won’t get robbed; Japan is one of the safest countries in the world. Make sure you tell your bank that you will be traveling to Japan, and keep their international phone number with you just in case they freeze your card. The JR Pass is a flat-rate pass that allows you unlimited travel on almost all JR trains for up to 21 days. It can be used not only for the slow, local trains throughout the cities, but also to ride the shinkansen (bullet train) to various locations throughout Japan. Eligible lines stretch from Hakodate, Hokkaido in the north to Kagoshima, Kyushu in the south. Using shinkansen and/or regular trains, you can reach every Japanese prefecture except Okinawa, which is “the Hawaii of Japan.” More immediately, you can use the JR Pass for the monorail between Haneda Airport and Tokyo or the Narita Express between Narita Airport and Tokyo. Depending on how much you plan to ride the trains/subways, you could save hundreds of dollars over the course of your stay. There are three periods available: one-week (30,000¥), two-week (46,000¥), or three-week (60,000 ¥) for adults. The three-week pass is the best value, but it depends on your travel plans. Even if you were to stay in Japan for three weeks, your individual itinerary might make a one-week pass the most prudent option. To be safe, I would recommend getting a pass that is valid for the length of your trip. There are “green” (first-class) passes as well, but I don’t think that the benefit is enough to justify the higher price. You can also buy a cheaper pass for a specific area of Japan, e.g. East Japan or Shikoku. The site lists the prices and the requirements. 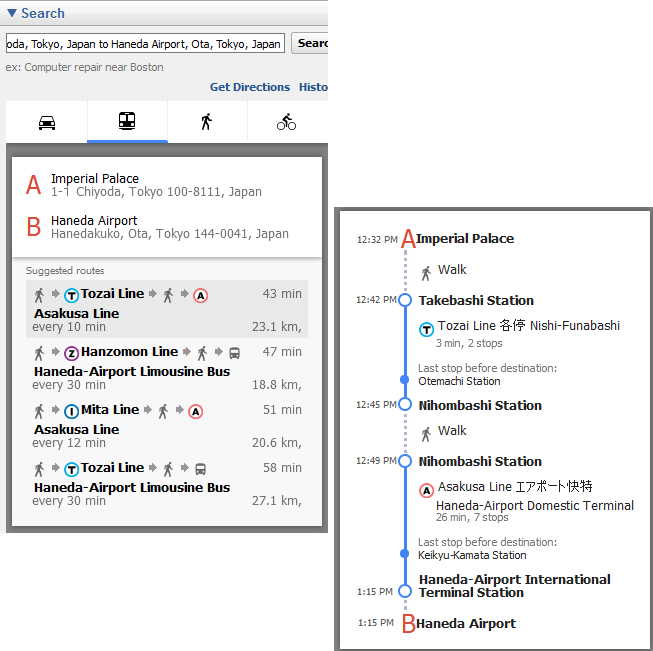 The website HyperDia contains a search function for the shinkansen between any two destinations. 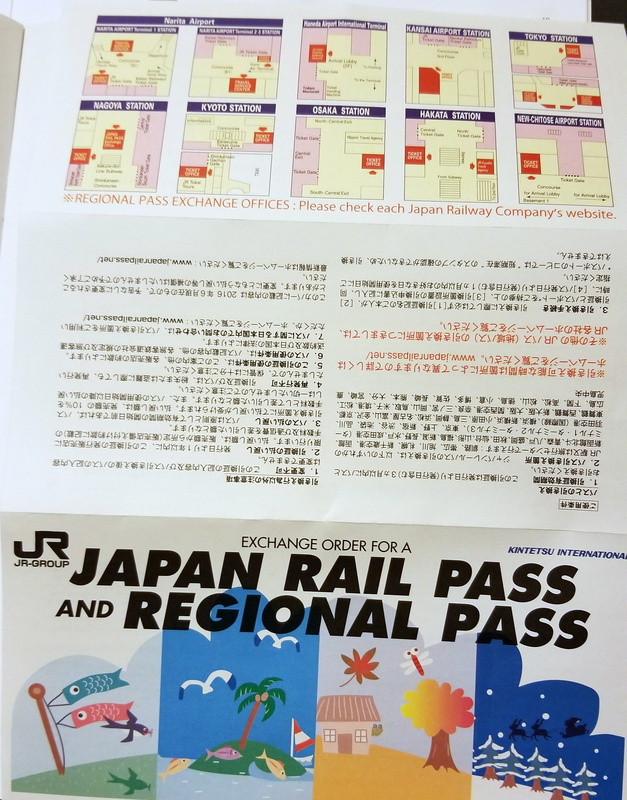 If you are reading this article, then you probably meet the requirements for buying a JR pass. You must be a foreigner, a Japanese person permanently living outside Japan, or a Japanese person whose non-Japanese spouse permanently lives outside Japan. My guess, if you’re reading this, is that you’re the first. So how do you buy a pass? You may buy them online or visit a sales office at one of many locations (give them a call first) to purchase an Exchange Order. (I am very happy that there is an office in Las Vegas. I won’t have to drive down to L.A.) The Exchange Order is not the pass itself; it is what you will exchange for the pass inside the Japanese airport. You will show the Exchange Order at the Travel Service Center/JR Ticket Counter inside the airport (Haneda and Narita are listed separately from Tokyo in that list). Take note of the closing times. Haneda’s ticket office closes at 6:30 p.m. and Narita’s offices close at 8:00. If your flight arrives too late, there are other ticket offices in Tokyo that you will have to visit the next day. 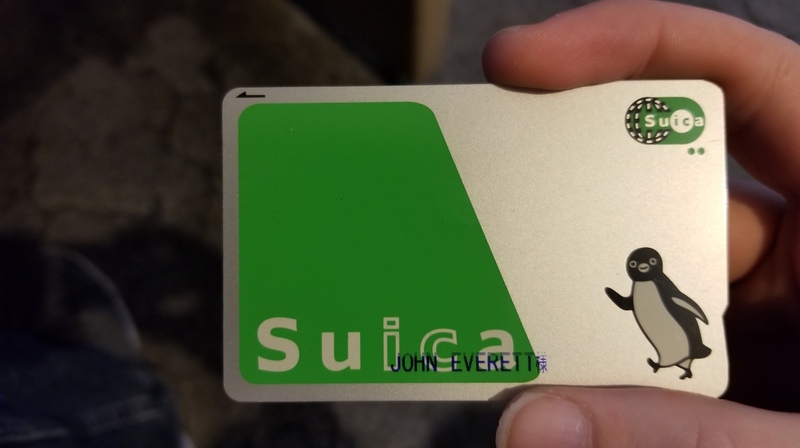 In order to ride a train/subway without the JR Pass, you will have to use a card called Suica, which I will explain later. Remember that you must have “temporary visitor” stamped on your passport inside the Japanese airport in order for your Exchange Order to be exchanged for a JR Pass. I will remind you again later because this is crucial. 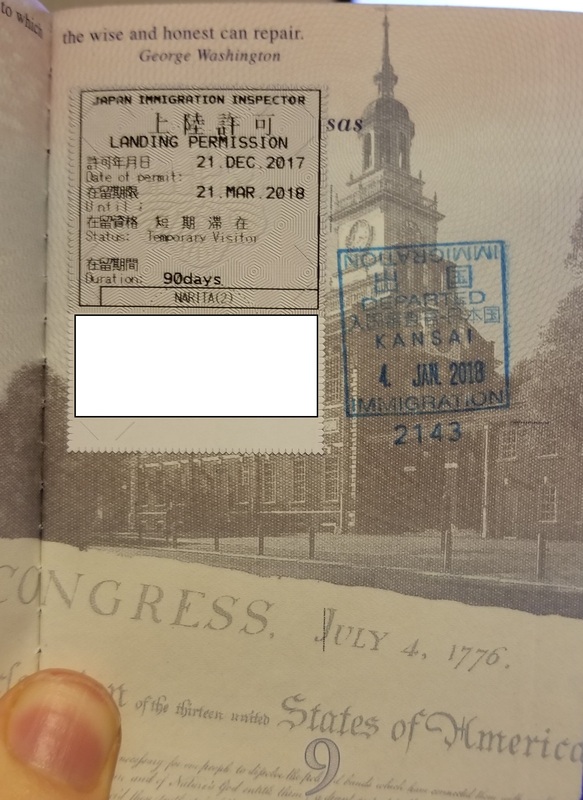 If you don’t have “temporary visitor” stamped on your passport then your Exchange Order will become a worthless piece of paper, even though it’s obvious that you are a temporary visitor from a foreign country. You have to exchange an Exchange Order for a pass within three months of receiving the Exchange Order (which is fine because you’re getting it two months before your flight), and when you get the pass you must specify a date within one month that you will begin using it. The pass will then be valid from the date you set until 7, 14, or 21 days after. You will almost certainly set your pass to activate on the first day, but it’s good that you have the freedom to set the activation date up to one month in the future. 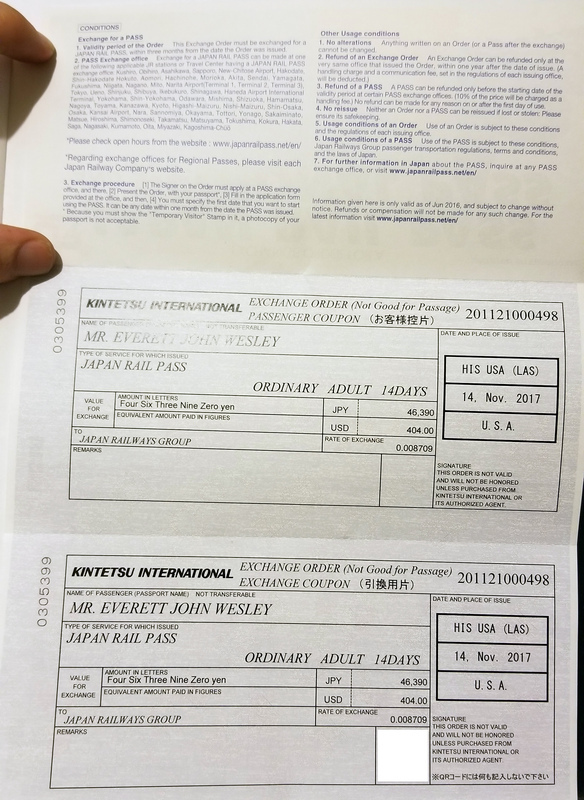 You will need to have your JR pass with you in order to board a train. Go up to the ticket attendant (don’t try to go through the regular ticket gate) and show it to them. That’s it. You can make a free reservation for a seat at any ticket office, which is a good idea especially if you’re traveling during a busy period (rush hour or holiday seasons). The counter is on the right. Show your JR pass to the person behind the counter and you can walk through without having to pay anything. General Dwight D. Eisenhower once said, “In preparing for battle I have always found that plans are useless, but planning is indispensable.” The traveler will find that these words ring very true for them as well. There’s no way you’ll be able to visit every place you want, especially if you are visiting multiple cities, so don’t expect that you’ll be able to fulfill all your plans. Nonetheless, you’ll want to have a full-bodied agenda so that you are never at a loss for ideas. If you always have something written down that you want to do, then your trip will never be boring, aimless, or tedious. Don’t be afraid to be ambitious, but please give each place its due. Avoid a whirlwind tour that’s so frantic that you can’t slow down and enjoy each location you visit. Be aware that many famous places are tourist traps–overrated, crowded, expensive, or all of the above. Here’s just one example: Instead of waiting in line and paying a fee to go up Tokyo Tower or Sky Tree, try going to the top of the Tokyo Metropolitan Government Building, the Bunkyo Civic Center, or the Dentsu building in Shiodome for free. You’ll get a view of the city that’s just as good if not better (and your panorama will include Tokyo Tower itself), but you’ll also be able to ditch the crowds. Six months ago I advised you to consider different places, different activities, and different itineraries. But now it would be good to move from “considering” to “planning.” Your plan doesn’t have to be solid, of course. It’s not as if it’ll be set in stone. But if you make a plan to do or not do certain things, then you’ll feel more confident about your day-to-day activities, even if you change plans. …but the more substantial way is to familiarize yourself with the map and the nine Metro lines. Start by finding the station closest to your starting location–say, your hotel. Then look up the station and you can usually find detailed information about it, including which of the lines it is a part of. TokyoMetro.jp shows information on all the lines and lets you view an interactive map of the Metro system, as well as view downloadable maps. The app Japan Rail Map also lets you interact with a detailed map. If it’s too complicated and you get flustered trying to make sense of it, then take a break, don’t be stressed, and come back to it later. This is why I’m suggesting you start looking at the subway system a whole month before your flight. Just take it in slowly and let the information sink in until you’re comfortable with at least the route from the airport to your hotel. The less time you spend inside the station trying to figure out where you’re going, the more you’ll be able to enjoy the ride. The train system is surprisingly easy to understand once you’ve ridden a few times. Within a couple days I could find my way around Tokyo proper with only minimal use of maps. Also, keep in mind that not all lines are run by JR. You’ll need to pay for any train or subway operated by a different company, such as Keisei. But try to plan your travel around non-peak times. The trains become jam-packed at around 8 a.m. and 5 p.m. It’s amusing to see commuters being literally packed into the train by professional people-pushers, but you don’t want to be in that mess. Your data needs will vary from person to person. Fortunately, there are many products that cater to these different needs. eConnectJapan and JRPass offer SIM cards and pocket Wi-Fi devices with various plans. If you’re a data hog like me, your use could get pretty expensive. But your hotel and JR stations will have free Wi-Fi available to mitigate your bandwidth usage. If you don’t have any pressing needs, you should be able to just leave your phone disconnected and only bring it online for a couple minutes every now and then to check up on your notifications. As a tourist, your most urgent data need will involve using the map. If you download an offline-capable app beforehand, however, then you won’t need to use a single byte in order to navigate Japan. Maps.me is a very good app that allows you to download the entire world onto your phone if you want. Just download it before you leave America, and you won’t have any worries. If you want a very (perhaps excessively) detailed offline map then OsmAnd may be more to your liking. While you’re at it, go ahead and download JED so that you have an offline Japanese-English dictionary. After that, you really shouldn’t need very much bandwidth on your phone at all. I actually went without a pocket WiFi device. With all of the apps detailed above, I didn’t need any bandwidth during the day. I just caught up on text messages etc. in my hotel every evening. If you are getting a SIM card, contact your service provider or phone manufacturer to ensure that the card will be compatible with your phone. This is an emergency measure. You probably won’t need to have cash with you as soon as you get off the plane because there are ATMs inside Haneda and Narita where you can withdraw cash. This advice is only in case your card doesn’t work inside the airport. If you choose to take dollars with you, you’ll have to go to an exchange counter inside the airport if your card doesn’t work; these exchange counters offer fairly good exchange rates, and in any case they’re much better than the sharks roaming outside. The various private money-changers around town are notorious for ripping off naïve tourists. Don’t use them! An alternative to your debit card is a traveler’s check. You’ll actually get a better exchange rate for traveler’s check inside the airport, but it may not be worth the hassle of getting the traveler’s check to begin with. The ideal solution would be to take $100 cash with you and then hold on to it if your card works–if your ATM card works the whole time, then just hold on to your dollars until you get back to America. If you convert your currency unnecessarily then you’re losing money in the exchange. Just bring your dollars back to America. Using an ATM to withdraw yen, the conversion should be lossless, but some banks charge as much as 5% + $10. For that reason you should withdraw as much yen as possible each time, to minimize the number of $10 transaction fees. If you want to convert dollars to yen before leaving the US for peace of mind, you can do so at your bank. Bank of America charges 5% + $7.50 for conversion (If you convert $100, you’ll spend $112.50). The $7.50 fee is waived if you convert at least $1,000, but you won’t be needing to convert that much. If you’re feeling adventurous, you can try to buy yen notes off eBay. They are often put up for auction by persons who don’t plan to return to Japan and want to offload their useless currency. You can find some pretty steep discounts if you’re lucky. Absolutely do not exchange currency inside an American airport. They have been known to charge as high as 15%. If your ATM card doesn’t work, you’ll need this $100 (plus the cost of the hotel if they take cash only) to get you through your first night, then the next day you can resolve the issue with your ATM card not working. If it doesn’t (and I want to stress that it’s very unlikely that your card won’t work in the airport) it’ll probably just be an issue with the specific ATM or specific location you’re using. So as long as you have enough cash to make it until the next morning, you can withdraw yen someplace else. One thing you should know about ATMs in Japan is that they are almost always inside the bank, so when the bank closes in the evening, the ATM inside will be inaccessible. I know, that defeats the purpose of an ATM. But if you’re prepared for it, it won’t be a problem. Two things you should know: One, you need ATMs because most businesses in Japan only accept cash. Withdraw 50,000¥ every five days or so and you should be good to go. Two, 7-11 is your bastion. Forget about the image you have in your head. In Japan, 7-11 is a convenience store, ATM, deli, Walgreens, and Western Union all rolled into one. Use it; cherish it. There were two 7-11s within walking distance of my hotel and let me tell you, they were extremely handy. I only used a 7-11 for cash withdrawal once, but the convenience of the food and drink was reason enough to keep coming back. 2. Research Pasmo and Suica. Pasmo and Suica are contact-less smart-cards that you load up with money, then use for riding the Metro or paying for merchandise at certain stores and tourist attractions. 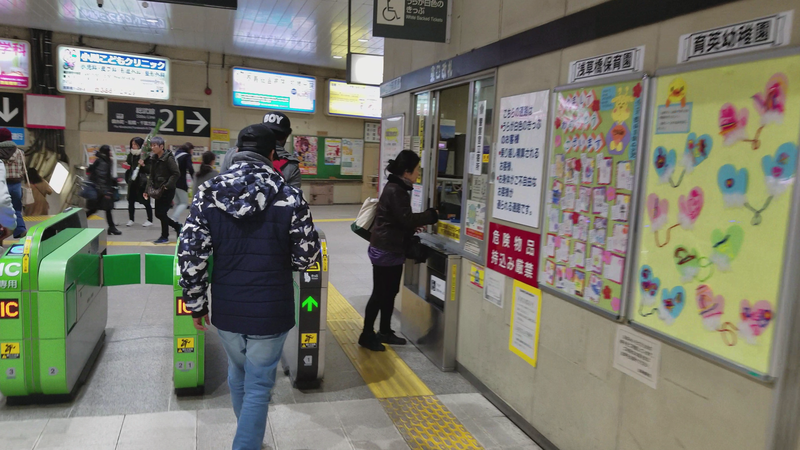 Suica is by far the more common. You will be able to buy a Suica card at any JR station (most machines have an “English” button in the upper-right corner of the screen). I highly recommend getting a personalized card. It doesn’t cost anything extra, and having your name on the card is not only cool-looking, but could also be very useful if you lose it. Your flight to Japan will be at least thirteen hours, and possibly as long as 30 hours. On top of that, time spent waiting in the American airport will add at least two hours. Unless you can read a book for 32 hours, you’ll need to load up your phone, laptop, and other devices with entertainment. If you are flying on a foreign airline the seat may be equipped with a built-in TV screen, but you may not like what is being offered or you may want to change up your entertainment options. If you like audiobooks, consider downloading a few. Of course you won’t have time to listen to all of them on the plane, but you might decide that you’re not in the mood to listen to book A and you can switch to book B instead. Also, keep in mind that if you go on long train rides in Japan, you will want to have entertainment there too. It’s considered rude to talk on public transportation so you will have to keep to yourself. And remember that screens consume more power than anything else. If you listen to audio and turn off the screen rather than watch a video, your battery will last much longer. But if you must have your videos, it may be prudent to invest in a charge extender. You can plug your phone or (depending on what kind of charger it is) laptop into it and extend your battery life considerably. The only reason I haven’t advised bringing along a set of physical books is that they are heavy and large if you bring more than one. You’d be surprised at just how much heavier two books are than one. Besides, you can fit a thousand books onto one lightweight Kindle or laptop. Trust me when I say that you’ll need the room for your hobby items and souvenirs. Please limit yourself to one physical book. Make sure that all your necessary items are in your passport holder. These will include your passport, your JR Exchange Order, a notepad, a pen (or two), government ID, ATM card, airplane ticket, cash (yen), doctor’s note for medication, Suica and Pasmo cards (once you get them in Japan), and a map showing the route from the airport to your hotel. 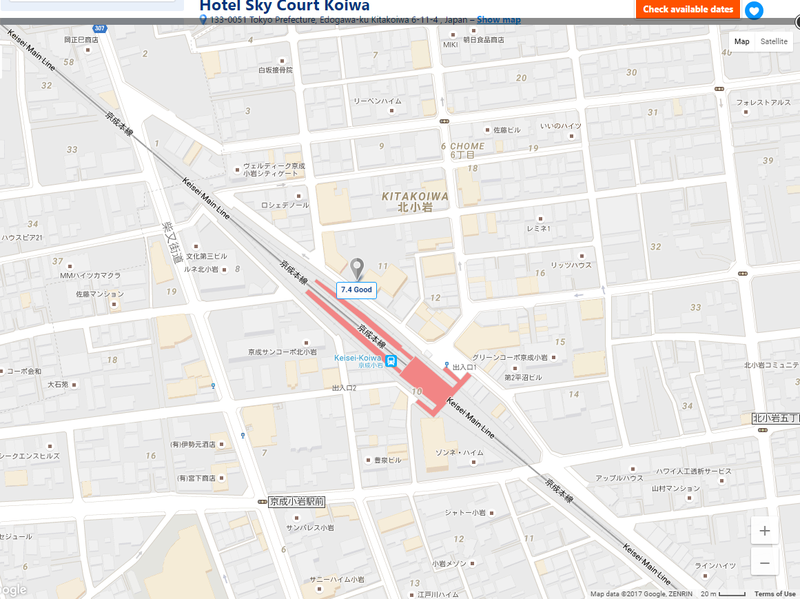 Write the name and address of your hotel in English and Japanese on the back of the map. If you’re not going to take your wallet, then you’ll want to put your credit card or dollars in the holder as well, so you can buy things in the airport or take a taxi when you return. 1. Switch to Japan time. If possible, you should change all your clocks to Tokyo time (UTC+9:00) and start to think only in terms of that time. (Don’t miss your flight because of this, though! Think about your flight in Japan time too!) If you’re in that mode already, your jet lag will be much easier to get over. And it will be a major hurdle! Japan is anywhere between 12-17 hours ahead, depending on where you are the continental United States. American travelers report that it takes them a couple days to adjust once in Japan, and then another 7-12 days when they return to America. I don’t know why the jet lag is much worse coming back, but you might want to set aside a week for that too. If you have work or school right after you come back from Japan, you have my pity. If you have the luxury of modifying your sleep schedule beforehand, do so. It will help if you move around and keep hydrated while on the plane (and if you do the latter well enough, you’ll also take care of the former because of the bathroom trips). Once you arrive in Japan, take a hot bath. The hot water will help relax your sore, travel-weary muscles, and then the sudden drop in temperature when you get out of the bath will make you sleepy. If you can’t change your sleep schedule beforehand, then make sunlight work for you. If you arrive at your hotel in the daytime, go back outside after you check in and walk in the sunlight–don’t sit down! If you arrive at your hotel at night, blackout your room. Close the blinds, unplug any electronics with “standby” lights on them, and get in bed. If you have a sleeping mask, use it. Don’t try to force yourself to sleep, though! If you try to force sleep you’ll get frustrated and end up losing sleep. Don’t wait until the night before. Your hotel probably has a washing machine, so you won’t need to pack 14 changes of clothes if you’re going for two weeks. Focus instead on packing only a few changes of clothes to be washed (No one will notice or care that you wear the same shirt every three days), and other items for a wide range of activities. Be aware that Japan has a diverse climate, from cold/temperate in Hokkaido to subtropical in Kyushu. If you’re going to travel on the shinkansen then be prepared for subtle-to-pronounced temperature changes. Japan, being composed of several islands, is humid. Prepare for extreme humidity and rain if you’re going in summer; and may God have mercy on you. -3 or more changes of clothes. Include both short trousers and long trousers. Cargo pants with big pockets are recommended. (If you’re female, you can pack a short skirt if you want but don’t wear it if you plan on riding the train). If your hotel has no washing machine, include however many changes of clothes you need for your stay. Also pack a large trash bag for your dirty laundry. Your luggage should have plenty of empty room for souvenirs. If you have friends in Japan or are staying at a family-run hotel, bring some small, simple gifts for them. Chocolate always works–I bought a huge box of Kit-Kats, because American Kit-Kats are quite different from Japanese Kit-Kats. My friends loved them. -Laptop, Kindle/Nook, handheld gaming consoles, etc. I said pack your luggage! Don’t procrastinate! Make sure your batteries are charged and your programs/files are loaded on your devices and functioning properly. Check that all your items are in your passport holder, then set it on top of your luggage and leave it alone. You’ll be excited about the trip and sleeping will be difficult. Depending on what time your flight leaves the next day, you may be able to use this to your advantage. Remember, once you get on the plane you won’t be using US time anymore. If you board the plane at 11 p.m. Japan time and you’re exhausted, perfect! Dress comfortably. Wear shoes that are easy to remove. Many passengers wear sandals to go through TSA and then put on their sneakers afterward. Don’t worry about weather, because you’ll spend most of your ride indoors–inside the airport, inside the plane, inside the subway/bus, inside the train station, and finally inside the hotel. Once you get to your hotel then you can change into summer/winter clothing, but for the trip just make sure you’re comfortable. You’ll have to go through Immigration immediately after departing the plane. It’s pretty easy; they’ll photograph and fingerprint you, ask you a few questions, and have you turn in a form. You were given this form while on the plane. Since you have a pen in your passport holder, you’ll already have the form completed when you land and you can breeze right through Immigration. They will also stamp “temporary visitor” on your passport. Just to be safe, double check to make absolute sure that the stamp says “temporary visitor” or else you will not be able to exchange your Exchange Order for a JR pass. After Immigration you’ll get your baggage from the baggage claim and then go through Customs. They’ll ask you a few questions, may ask to inspect your bags, and then you’ll be good to go. Get to the JR Office/Ticket Counter to get your JR pass. Now go to an ATM. Withdraw 50,000¥; put 10,000¥ on your Suica card and keep the other 40,000¥ cash for spending money. Now go and enjoy Japan.